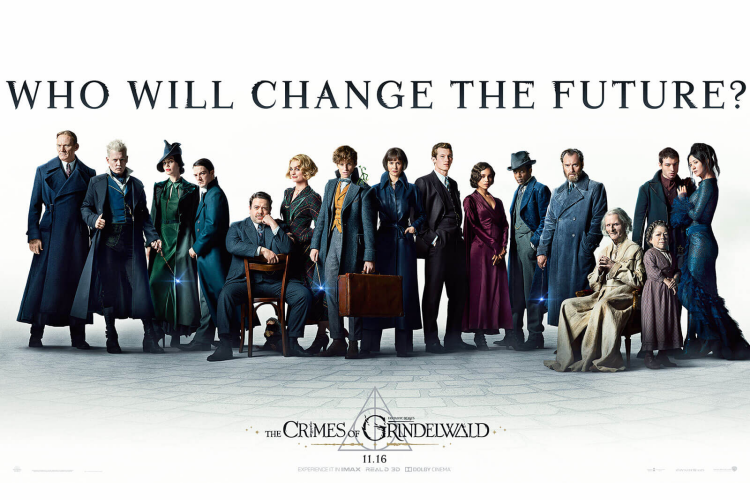 The time has come for Fantastic Beasts: The Crimes of Grindelwald to be released in theaters. As we have counted down the days to finally seeing the exciting new sequel, the cast has been touring all over the world. Did you catch all the magic from their appearances on-and-off the red carpet? From Eddie Redmayne stunning Jimmy Fallon with an unexpected magic trick, to the cast stopping by a school celebrating the wizarding world, check out five can't-miss fantastic moments from the movie's press tour. What was your favorite moments leading up to Fantastic Beasts: The Crimes of Grindelwald? Let me know in the comments! We all love to collect Fantastic Beasts merchandise, but what happens when the cast sees Legos's figurines inspired by their characters for the first time? Their reactions are priceless! After the dazzling premiere in Paris, the cast of the sequel including Eddie Redmayne, JK Rowling, Johnny Depp, and Jude Law, as well as some familiar faces from the Harry Potter series - Helena Bonham Carter and Jason Isaacs - stopped by the amazing UK premiere in Leicester Square. Ezra Miller's Dementor and Hedwig inspired wardrobe are absolutely fantastic If you missed this, you can relive the magic above before seeing the film. The students and community in Baileyton, Alabama transformed Parkside School's classes and hallways into their very own Hogwarts Houses inspired by Harry Potter. Working together, they raised funds, used their own money, and donated materials to inspire and educate students. To honor the school's passion and dedication, The Crimes of Grindelwald cast stops by for a surprise visit. Eddie Redmayne, who plays the loveable Newt Scamander in Fantastic Beasts, actually turns out to be a wizard in his own right. As he stopped by The Tonight Show with Jimmy Fallon, the Academy-Award winning actor shows off a little magic trick. You have to see it to believe!